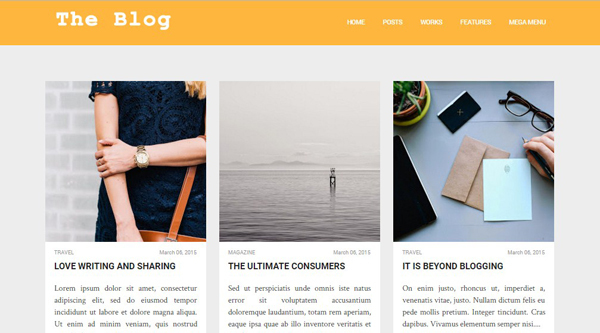 The Blog Blogger template is a clean looking blogger template which brings simple & minimalist design to your blog. The Blog is ideal for blogging, fashion, Travel and Recipe Blogs. The Blog is very flexible ,fully customizable blogger template with completely responsive layout. The Blog is compatible with all of the modern browsers. The Blog comes with many features like ads below header ,custom comment system, social sharing buttons below posts and a lot more. Following are some of the key features of feather blogger template.